Tri Sport Epping is a friendly, multi-sport club based in Brentwood and Ongar, Essex but with members coming from a wide catchment. The club welcomes members and guests from the age of 8 who would like to participate in swimming, cycling, running, multi-sport or triathlon. The club boasts a loyal membership with fantastic support for those looking to improve their fitness and technique, compete locally or internationally and, importantly, be part of a supportive and friendly community. In 2018 we led the creation of the Super Series, a co-operative of local clubs, participating and organising private events aimed to support training and participation at all levels. Events include Duathlons, Aquathlons and Triathlons in various formats with the focus on encouraging people to join in and contribute to a team score whilst supporting a competitive training environment. 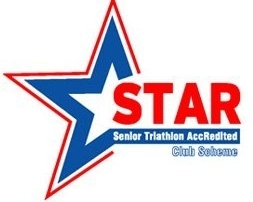 Whatever your aspirations we can help you with the vast experience of our members and with fantastic support from our excellent group of friendly British Triathlon Federation Qualified Coaches. So, come and speak to the team to see how we can help you.